A relaxing magnesium supplement. The anti-stress drink. Balances your calcium intake, restores healthy magnesium levels. 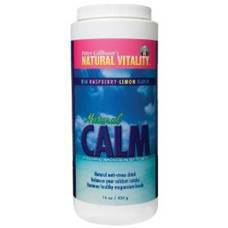 Natural Calm is the best-selling magnesium supplement in the natural products market. It was developed by nutritional researcher Peter Gillham and is the only water-soluble magnesium blend utilizing his exclusive delivery formula for maximum absorption and benefit. 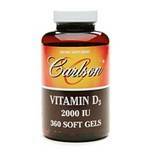 Technically not a "vitamin," vitamin D is in a class by itself. Its metabolic product, calcitriol, is actually a secosteroid hormone that targets over 2000 genes in the human body. Current research has implicated vitamin D deficiency as a major factor in the pathology of at least 17 varieties of cancer as well as heart disease, stroke, hypertension, autoimmune diseases, diabetes, depression, chronic pain, osteoarthritis, osteoporosis, muscle weakness, muscle wasting, birth defects, periodontal disease, and more. Effective in the daily application of “passive lumbar posterior disc decompression”. This decompression helps to increase disc hydration and break-up restrictive and hypersensitive fibrotic tissue infiltration within the disc as well as the lower lumbar facet joint capsules and musculo-ligamentous structures. 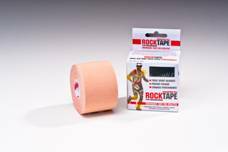 This may aid the body in healing posterior disc fissures and associated mild bulges. Also helps with lower abdominal core muscle strengthening and the treatment and rehabilitation of lower lumbar facet syndrome. 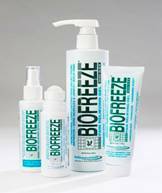 Biofreeze Pain Reliever offers temporary relief of minor aches and pains related to back, shoulder, neck strains, ankle, knee, hip and elbow joint discomfort.